New Delhi, Nov 5 (IANS) He entered television when it was going through its golden phase, but popular TV actor Aman Verma feels that the small screen has now become a women’s domain and men are merely used as showpieces in most shows. ‘Men have nothing to do in Indian TV apart from standing with a straight face, until and unless you’re playing a negative character,’ said Aman, who forayed into serials way back in 1993 with ‘Pachpan Khambe Lal Deewarein’. ‘I prefer playing negative characters, at least on television, because such characters are more believable,’ the actor told IANS on the phone from Mumbai. He has just entered Colors’ ‘Naa Aana Iss Des Laado’ as Bhanu Pratap. His character has grey shades as he has come to settle a score with Ammaji. For his role in the serial, the 39-year-old sports a moustache and a stubble look. ‘The moustache definitely helps give a different effect for a negative role. If it is shaped around the character – big and curvy – I think it makes it easier to make the character more believable,’ said the actor, who had earlier played a villain in ‘Viraasat’. He made a mark on the small screen with Balaji Telefilms’ ‘Kyunkii Saas Bhi Kabhi Bahu Thi’, after which he featured on shows like ‘Kumkum’, ‘Sujata’, and ‘Bayttaab Dil Kee Tamanna Hai’, among others. He also fragmented into Bollywood with a cameo in Tanuja Chandra’s 1999 movie ‘Sangharsh’ and later featured in ‘Jaani Dushman’, ‘Baghban’, ‘Andaaz’, ‘Jaan-E-Mann’, ‘Baabul’ and ‘Deshdrohi’. 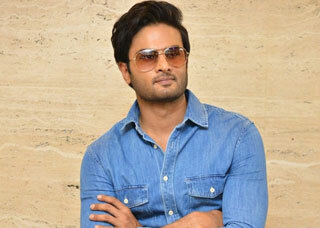 But the actor feels he has not got his due in the film industry. Nevertheless, he is positive about future. ‘I don’t think I have got what I deserved from Bollywood. But god has been kind to me and people have showered me with love and appreciation. From the way I see it, this is just the beginning for me, I have a long way to go,’ he said. He foresees a major transition in Indian television and cinema, and is confident of a successful confluence of the two mediums. ‘The trend in India is changing; soon the television and mainstream cinema will merge and TV will be at par with mainstream cinema,’ he said. Aman is also looking forward to a dream role, akin to megastar Amitabh Bachchan’s in the classic ‘Deewar’. But for now, he has two completely different movies – ‘My Friend Hitler’ and ‘Tees Maar Khan’ in the pipeline. While ‘My Friend Hitler’ is a period film set in World War II, Farah Khan’s ‘Tees Maar Khan’, featuring Akshay Kumar and Katrina Kaif, is a typical Bollywood potboiler. ‘ ‘Tees Maar Khan’ is a typical Farah Khan movie, it is an out and out comedy and those who have read a lot of comics in childhood will be able to draw a lot of similarities between Akshay’s character and Tin Tin and my character and the Thompson brothers,’ he said.